Hold up! What’s that Infiniti odometer reading doing in the mileage lineup? You’ll find out shortly. Meanwhile, let me bring you up to speed on the latest & greatest in current events. As my readers already know, on October 13 I was hosted at Honda/Acura headquarters in Torrance, California to participate in a short “enthusiast Q&A” segment with head of Acura Public Relations, Matt Sloustcher. 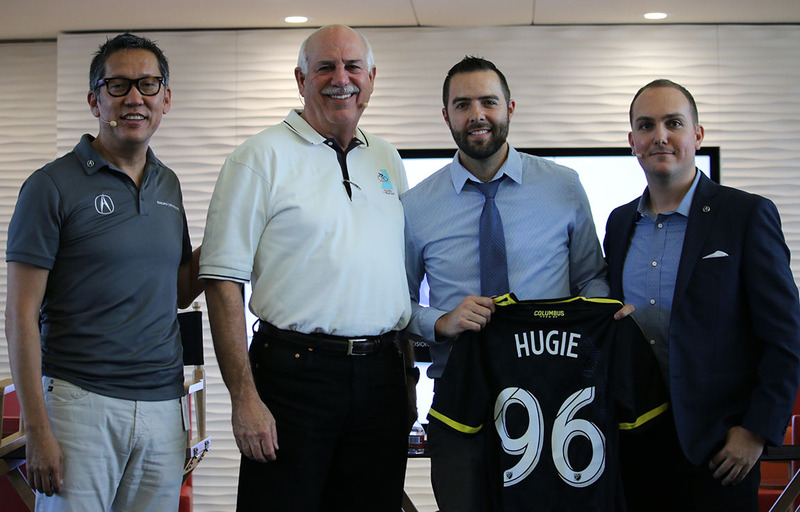 This was a photo taken with senior leaders of the brand, Jon Ikeda, Jeff Conrad, and Matt (to my left) after the program, with me holding up my custom personalized Acura jersey which I was presented as a gift. Score! Matt and his team were kind enough to get ahold of the 8-minute video segment for me, so here it is for your viewing pleasure. Once again, thanks to the Acura team for letting me crash the party for a day. I had a great time. While the car was in there, it also got a new windshield so things are finally crystal clear from the driver’s seat. 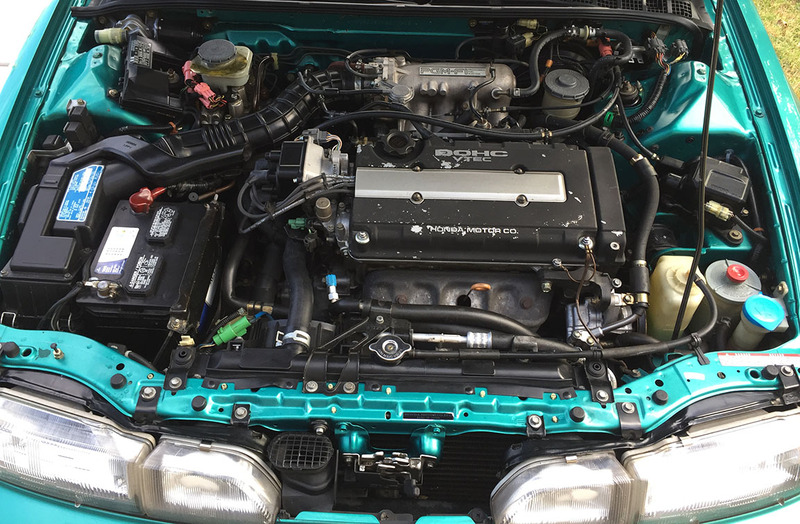 I treated the car to a full (and much needed) detail yesterday, even getting into the nitty gritty details of the engine bay and radiator support with a toothbrush. I’ll be sure not to put that brush back in the bathroom vanity closet. Things ended up looking pretty magnificent, if I do say so myself, for having nearly 1/4 million miles on this motor. 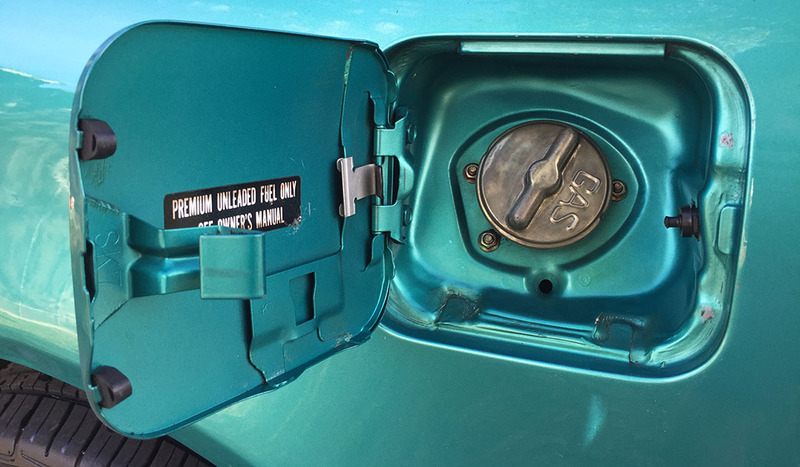 I even cleaned up inside the fuel filler door. Obsessive-compulsive disorder? Nah! Finished product tucked away in the garage. On Friday I bid farewell to a car from my fleet. While I only owned it for about 6 months and 5,000 miles, my 2007 TL Type-S was an incredibly fun car. I enjoyed taking it on a road trip this summer to the far reaches of northern Utah and southern Idaho, but in an effort to reprioritize and evaluate financials, I simply couldn’t justify keeping this car – my 7th currently. I was only driving it on average a couple of times per month, and it had a loan racking up interest. Time to cut it loose. So, better to let the TL go to a long-time friend who will enjoy it more than I’m able to. My friend Dave from the St. Louis area flew in on Friday night and drove it away on Saturday morning. 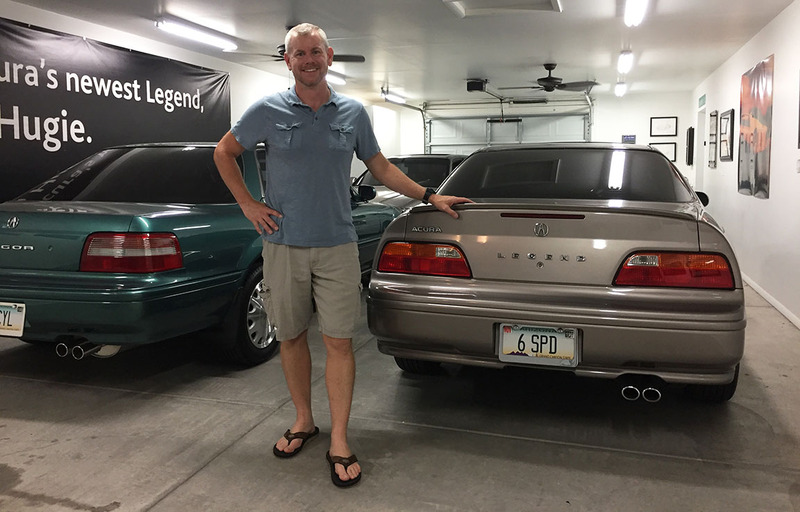 Dave is no stranger to the Acura collector hobby, as he was one of just a few of to attend the very first National Acura Legend Meet in 2005 in Dallas with me. His 1995 Legend LS coupe has since been handed down to his daughter. Dave made it to Amarillo, Texas by Saturday evening. And by the time he reads this blog entry, he’ll be home sweet home. Congrats, Dave! Short video with some clips from taking delivery. 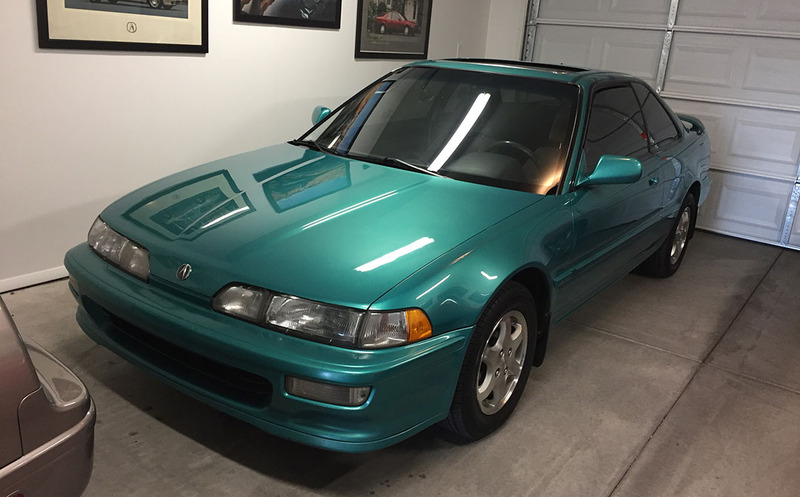 Quick intermission: I’m sure by now you’ve all seen the now-viral “commercial” for a 1996 Honda Accord EX coupe that was put together by a guy in California trying to help his girlfriend sell her car. Entertaining stuff if you get the chance! (And the car is now shockingly in the $100k+ bid range on Ebay, thanks to this clever advertising). Finally, how about a shift in gears – literally – in a brand besides Honda? 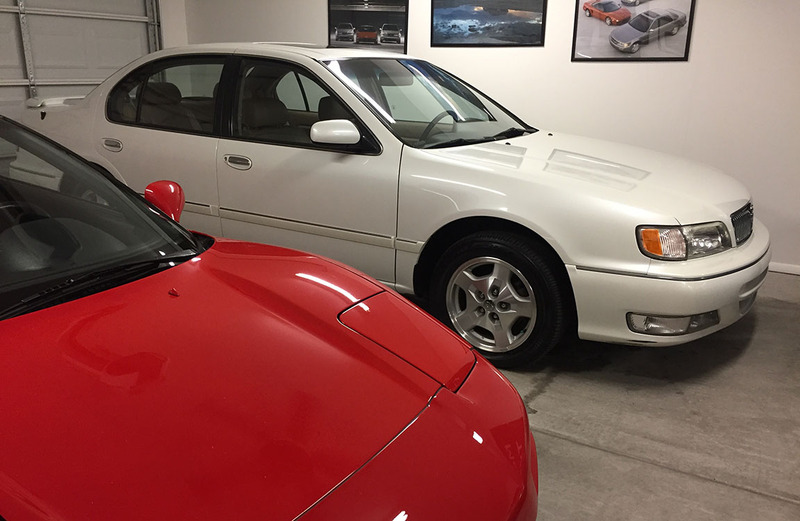 I recently had the opportunity to pick up a very rare and very nice 1999 Infiniti. On the surface, it’s not much more than a rebadged, upscale 4th generation Nissan Maxima. But this I30, priced at $31,200 when it was new 18 years ago, is equipped with an ultra-rare 5-speed manual transmission. Only a handful of Touring models like this one were configured in such a manner. And today, my hope is that there’s some enthusiast out there who wants to give this one a good home. To that end, I’ve listed it on an auction site called Bring a Trailer for a 7-day, no-reserve listing. The highest bid as of this coming Friday afternoon, November 10th will take this beauty home! 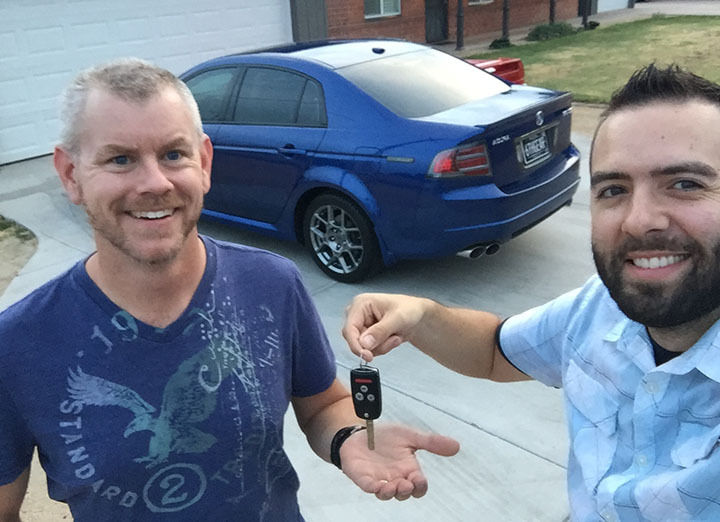 Check it out, and let your friends know if they’re in the market for such a ride! This entry was posted on November 5, 2017 at 1:38 pm and is filed under Detailing, Integra, TL. You can follow any responses to this entry through the RSS 2.0 feed. You can leave a response, or trackback from your own site. Woah! Talk about a major plot change! I did not see the sale of the TL coming. Which car is going to become the daily driver? Or are you just going to do it “by committee” with each car taking turns? The Infiniti is nice! Dad had an A30 (1997) Maxima, and it was a blast to drive. The I30 has a limited slip differential, right? Truth be told, the TL never ended up becoming the daily driver I intended it to be. Ever since I bought it in April, I still drove the other cars (taking turns, as you said), only using the TL for a couple of out-of-town trips per month. I’ll miss it, but I won’t miss the car payment. 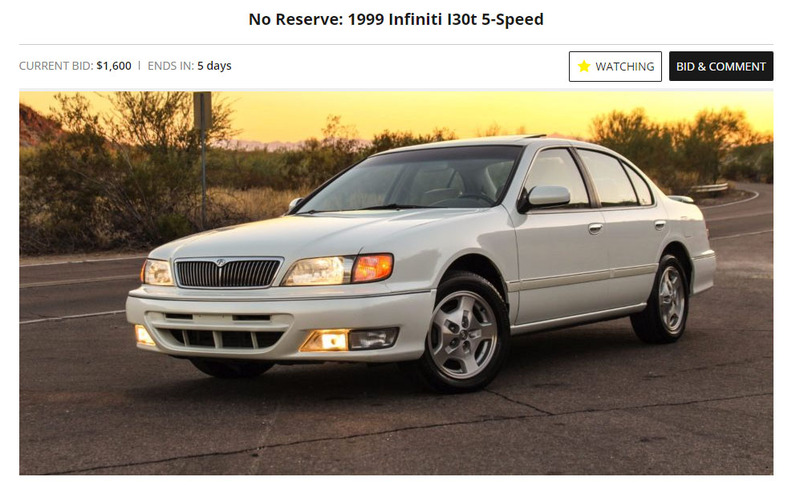 As for the Infiniti, I had to do a little research on that earlier for a prospective buyer, but the car does indeed have a limited slip differential (at least according to some sources on the enthusiast forums and comparing with the car’s VIN plates). We’ll see how it does at auction over the next few days! Isn’t that clever? If you read the (very) fine print on the very last scene, it states that the woman driving the Accord isn’t even the actual girlfriend – she’s an actress. Still, great cinematography! Good luck on the Infiniti auction! Very nice car for sure. And the accord ad is very clever. Thanks Marc! I guess I might get more for the I30 if I put more effort into my video than the cheesy 7-minute walkaround and driving scenes that are included as part of the auction, haha. Farewell to the TL! I’m surprised to read it’s gone, but the logic makes sense. Plus, now there’s room in your garage for a brand new NSX. That Accord coupe video is bonkers. Nearly 3 million views! I know, and last I heard the bids were at $130,000 or so. Wild and crazy kids. Not so sure a new NSX will be making its way to my garage any time soon, but the timing worked out for TL departure. The Infiniti now has a garage spot until its new owner comes along, then I get to free up yet more space. I’m very glad Tait was able to resolve all the 92 GS-R’s issues. Your skills in detailing have served you well it looks every bit as good as the Vigor now. While I’m sorry to see the TL go it’s nice to see it found a good home. Home you kept the plates for your next acquisition? As for the I30 we need to get started on the next viral video sensation and get those numbers up there so you can finally get that new NSX (paid in cash of course)… How hard could it be!? Oh thanks for the update on the 1996 Accord. I did not realize Ebay had cancelled the original auction! You were right – I’m sure a lot of those bids coming in were just in playful jest / sarcasm. Let’s see what people REALLY think the car is worth. The 93SE is in far superior shape and no doubt will command top dollar if you ever part ways with it – which you’d better not! Back to the grind today. Hope you had a fun (and productive) weekend. I can’t thank you enough Tyson for choosing me as the next worthy owner of your beautiful TL-S! I’m typing this as I reluctantly re-insert myself into reality after an incredible road trip home. I’ll follow up soon with some pictures I took along the way. P.S. Thanks for the uh, notice, about that tooth brush. I thought it had a funny “zing” when I used it Saturday morning! Ha! Those metal bits in the brush act as a highly advanced toothpaste! The TL-S has found a good home. Can’t wait to see what it looks like with the bike rack onboard. Enjoy, and definitely share a few pics once you get settled in. That gives me an idea. Think how much cleaner I could get those engine parts if I used an ELECTRIC toothbrush? Philips Sonicare, here I come. Cheers to the workday being half over! Haha. Yes, the TL was definitely a joy to own and to drive. I discovered that I wasn’t getting as much use out of it as I’d hoped – and it just isn’t rational to keep a car payment on something I rarely get to enjoy. At least until some pesky credit card debt is paid off! See you in a couple of weeks! Hi Tyson, yep – sad to depart with a car that you still enjoy owning. I also said goodbye to one of my cars last week, trying to free up a bit of extra coin for the purchase of a garage (I mean house)… Are you happy with the price that the Maxima brought? I don’t think I’ve ever seen a manual one, so has to be a pretty rare car. Any photo updates / journeys that the ILX has taken since it’s been out on loan? Yes I’m pretty happy with where the I30 ended up! It was fun to watch the final minutes of the auction because that’s where it got the most attention. I need to ask my brother if he’s had any fun with the ILX lately. The most exciting thing I’ve done with it was renew the registration and insurance on it a week or two ago, haha. Hope your weekend is going well! You’ll have to keep us all posted on your search for a home (garage) to buy. Best of luck with it. I didn’t know you had an 07 TL Type S. A friend of mine had one of those, but then traded it for an 08 TL Type S Automatic (trim level might be different). We have an 01 I30. It is a great car! I recently had to get a new steering rack, mechanic told me as we originally planned on getting new tie rod ends. Today, I finally got my rear drums done at 287,500 (and some change). Next project will be to get two new front strut assemblies. Do you recommend a particular brand? I was looking at KYB. By the way that mileage/maintenance items are in regards to my 08 Civic Coupe. Hi Shaubhik, I have never replaced strut assemblies on any of my cars but I’ve heard of KYB as being a good recommended brand to use. You are closing in on 300,000 with your 2008 Civic! I am looking forward to hearing about your upcoming milestone. Thanks as always for reading! You are welcome Tyson. I don’t have your number any longer, are you able to send me a text? I got to replace the cat and 02 sensors. I just hit 288k. Happy Thanksgiving!